From 2011 to 2016, these three gentlemen have spoilt us every day at the restaurant Hopfenkranz right across the street from our workshop in Lucerne. For lunch – and occasionally for dinner. And every day, we looked forward to the delicious dishes prepared by Manuel Kaufmann and the elegant service provided by Stefan Kaufmann – only to return the next day. 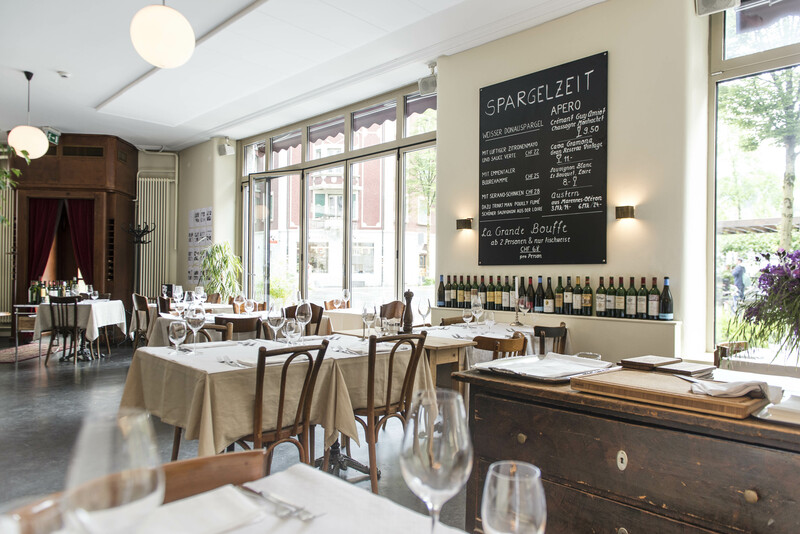 Now, they have moved on to the restaurant Drei Könige at Bruchstrasse 35 in Lucerne, running the atmospheric eatery together with Manuel Berger. It is not quite as close to our workshop at Zürichstrasse 49, but fortunately, nothing is truly far away in Lucerne. And the Drei Könige is quickly becoming one of our new favorite spots. Stefan Wiesner is the “Sorcerer” from the Entlebuch valley. 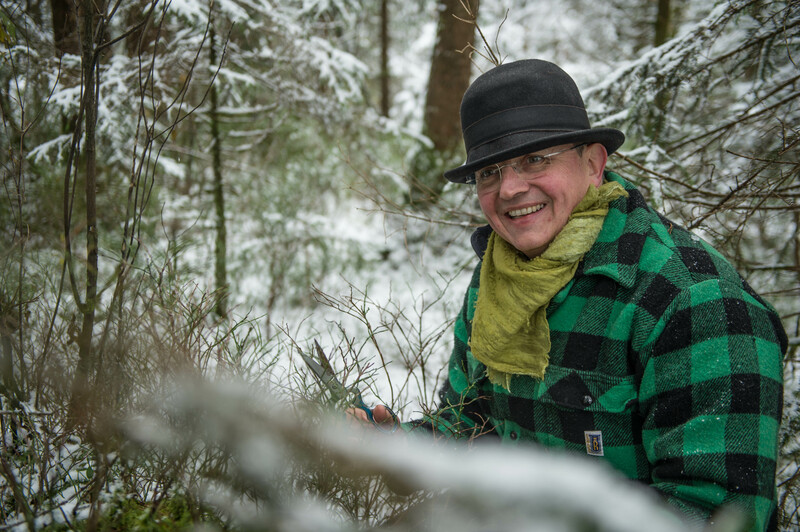 He has been using unusual ingredients long before the Noma cooks in Denmark drew the spotlight with their bark and moss dishes. It is well worth driving 45 minutes (by car) into the mystical Entlebuch valley and trying one of Wiesner’s experimental meals made of perfectly prepared produce from the forest and from the fields of farmers he knows personally. Stefan Wiesner is an artist, someone who always tries something new. He’s been awarded 17 Gault-Millau points and 1 Michelin star – eating at his restaurant is an experience. And because it’s situated at the very back of the Entlebuch valley, it tends to be an easy-going affair, one that doesn’t require donning a tie. After the meal, accommodation is provided on a nearby farm – including a rich farmer’s breakfast the next morning! Pasta in Lucerne. Fast, fresh, and really, really tasty. 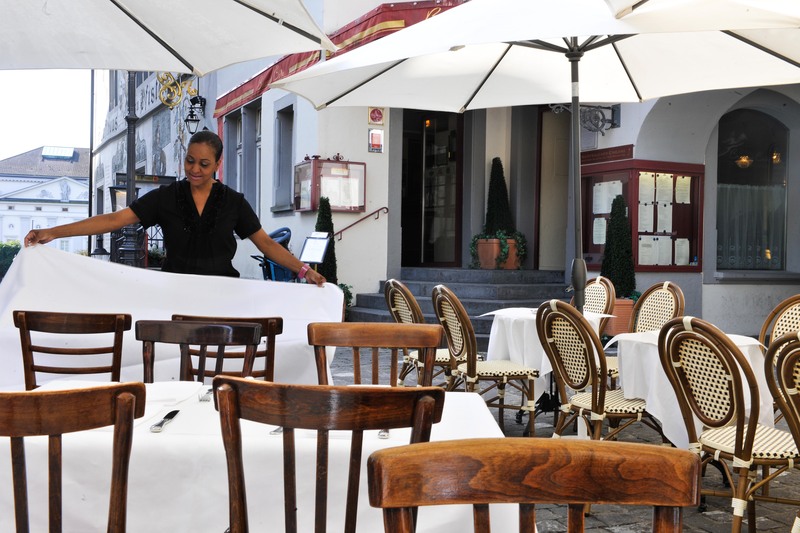 The perfect place to eat something delicious on the go – or to linger a bit longer. The pasta is home-made and fresh every day, and you’ll find fantastic antipasti and salads to go along. 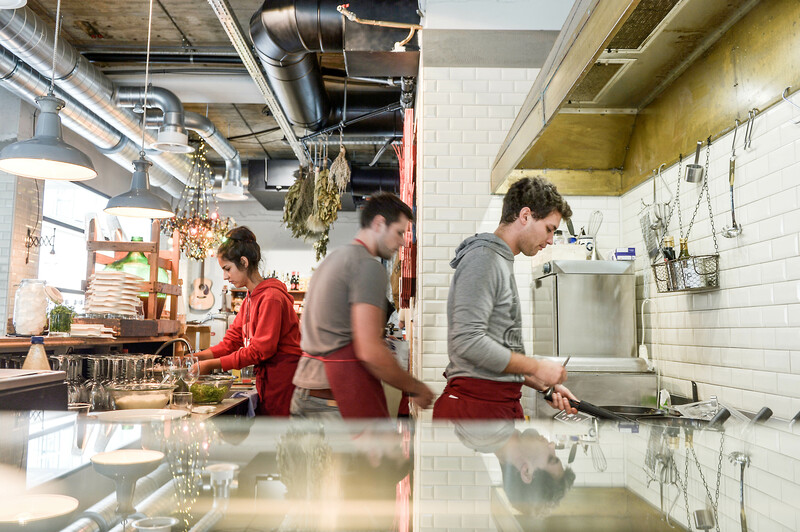 These young chefs cook with passion; they buy local produce from farms around Lucerne, turn them into divine dishes here in the city, and manage all of that with a charming measure of down-to-earth urbanity. Lucerne offers everything a city should offer. In fact, it offers more – what other city can boast of being so close to the mountains, sitting on the shores of such a beautiful lake, and of offering such a wide range of cultural events and institutions with only about 100,000 inhabitants? Gastronomically, Lucerne is not Paris, New York, or Berlin. Which is to say that there may not be quite as many culinary offers – yet, there are some great ones. 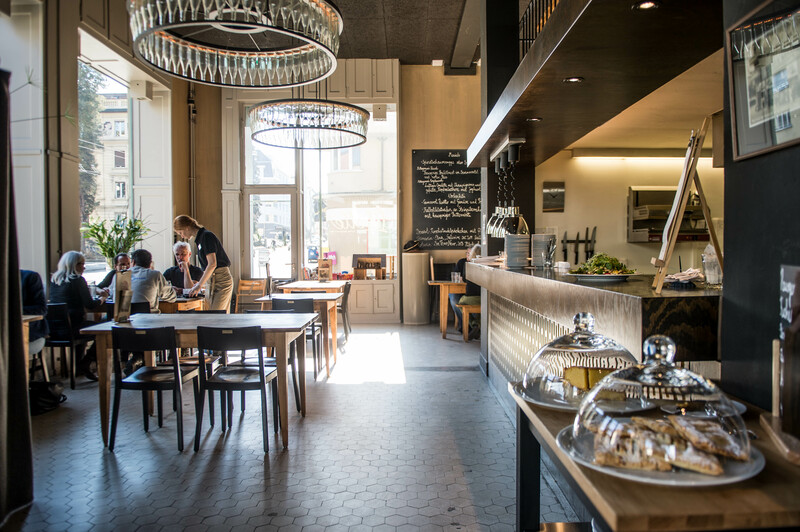 Such as the restaurant Libelle at Maihofstrasse 61 – a wonderful neighborhood café just 5 minutes’ walk away from ochs und junior. They use only regional produce and cook delicious Italian-inspired cuisine. If you’re looking for a little bit of Berlin in Lucerne, you’ll find it here! One menu every evening. Always fresh, very Italian and almost better than grandmother’s cooking in Italy. 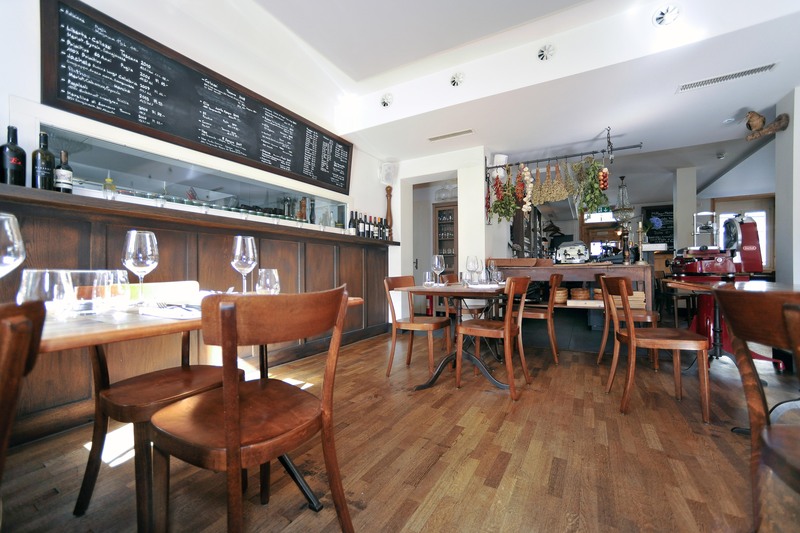 Bruno and Maria Rampinelli put their heart and soul into their establishment – the ambience is amazing. The passion for an ambitious espresso has long been a much discussed cultural topic at ochs und junior. For years, starting in 2012, we purchased the beans for our coffee from Black & Blaze, a micro roastery in Zurich. Since 2017, however, we have been sourcing our coffee from Lucerne. Manolo and Nik have opened their roastery/shop/cafe in an atmospheric building situated directly along the new bike path that has been built on a former central train line. And ever since their opening, the Café Tacuba is the place where you’ll find the best coffee in Lucerne. No matter whether you drink it right there in the garden or the roastery itself, or whether you want to take the beans home for your own machine. Manolo sources the raw beans directly from his home region in El Salvador. He knows all the producers personally. 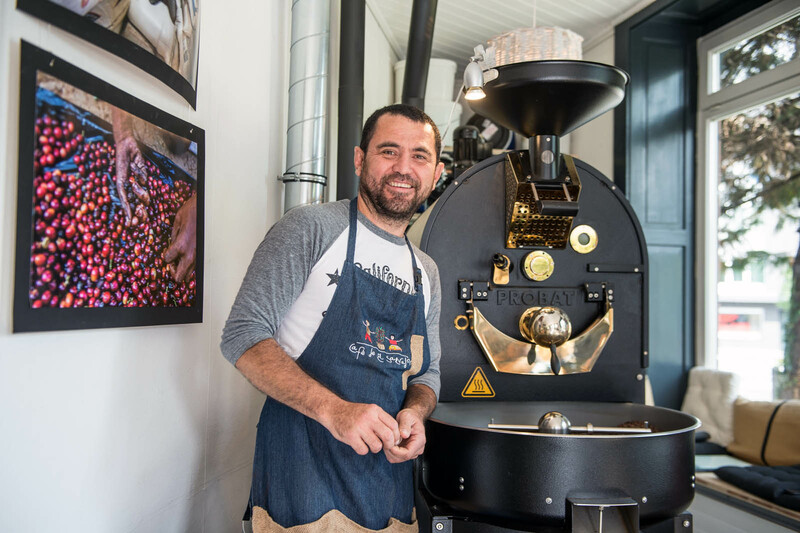 His passion for coffee, his knowledge and his enthusiasm are infectious and contrast refreshingly with the “hipster roasteries” you might find in metropolises such as New York or Berlin. Tacuba is not about lifestyle, it’s all about coffee! The best chocolate is to be found in Switzerland. 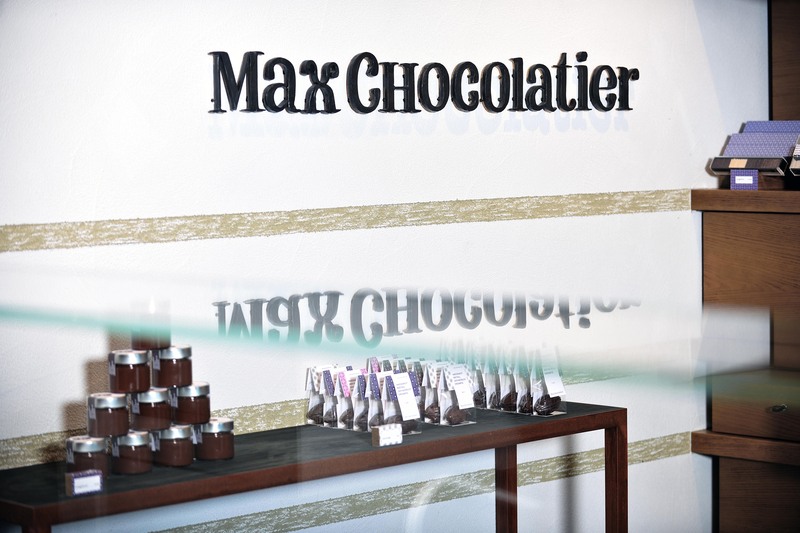 In Lucerne, the place to visit is Max Chocolatier at 2 Schweizerhofquai, where the chocolate confectionery is always freshly handcrafted. The store is right next door to the Hotel Schweizerhof.